I used to love tikka masala sauce in my vegetarian days. 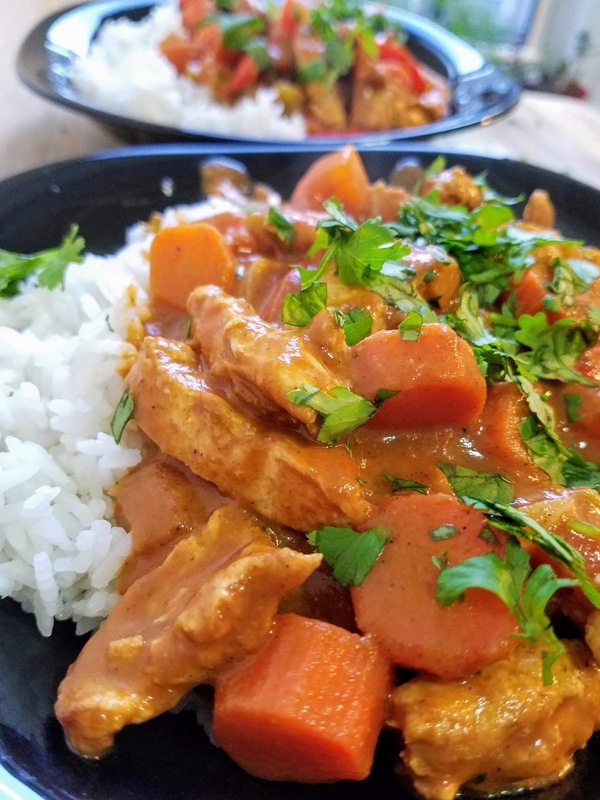 Hubs would have chicken tikka and I would have veggies simmered in this delicious spicy and creamy sauce. I really miss being able to just open a jar from the cabinet and blast everything in the skillet with flavor. 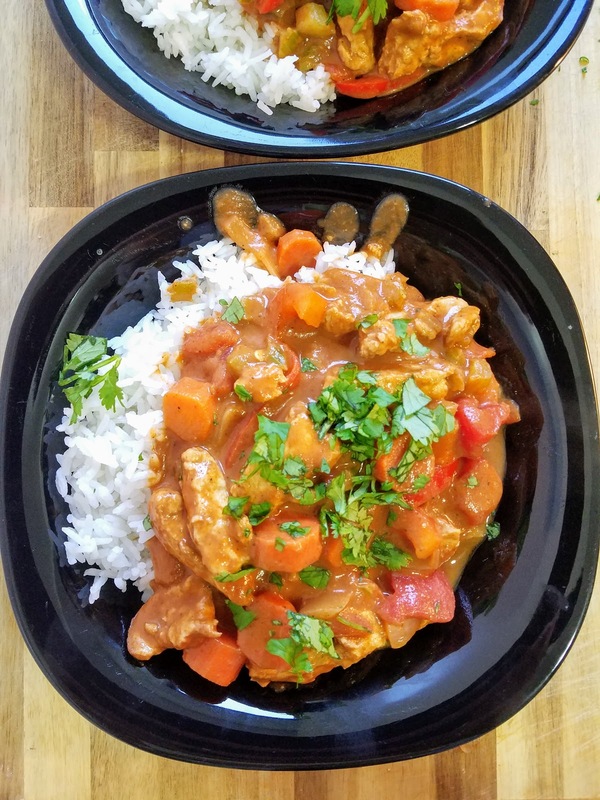 I've been putting off making my own vegan tikka masala for a while now, but I finally decided it was time -- and it was worth the wait! 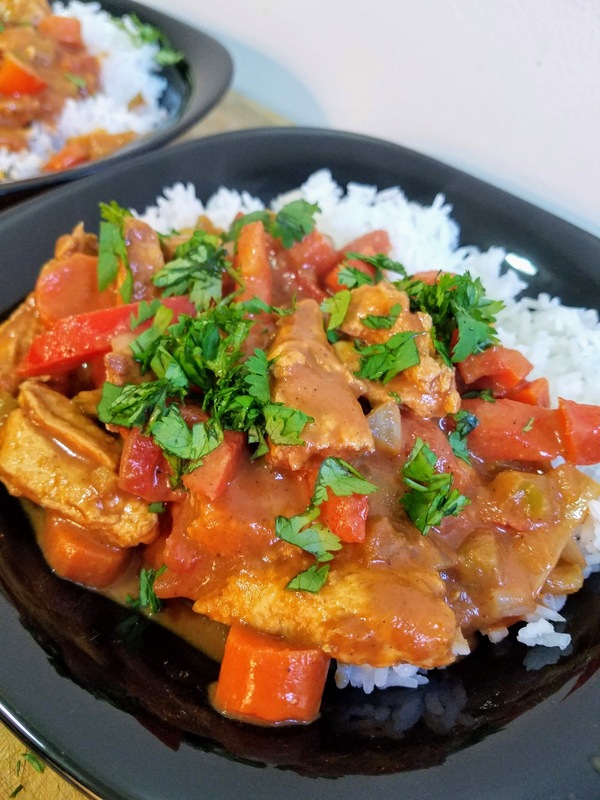 We cooked vegan chik'n strips in our tikka masala sauce as a nod to hubs' national dish, and as a special treat since we don't often eat fake meat products. 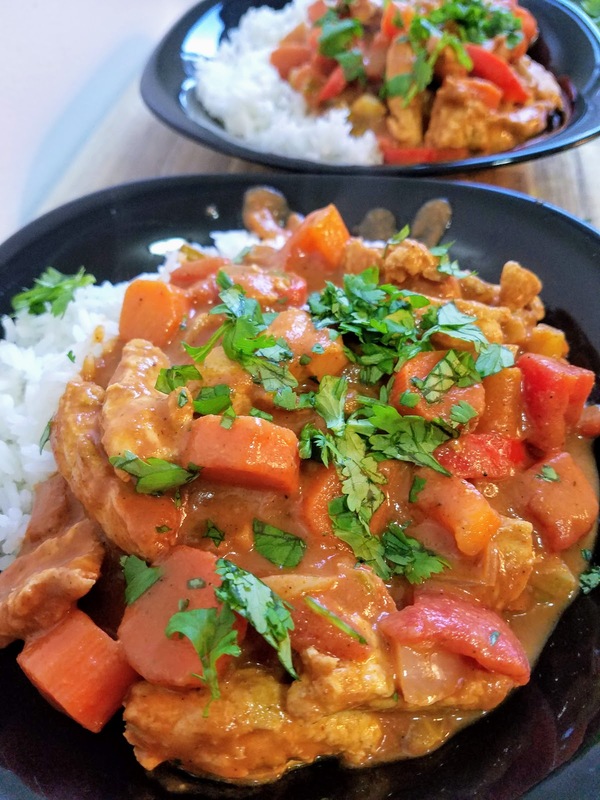 It definitely made the dish more substantial and authentic, but I definitely think you could substitute chickpeas or tofu and it would taste just as good. It's really all about the perfectly spiced sauce, so feel free to add whatever your heart desires! In a medium skillet, heat up 1 Tbsp olive oil over medium high heat. Add frozen chik'n strips and let cook for 5-7 minutes, stirring occasionally and cutting into smaller pieces with a spatula once thawed. Meanwhile, in a large skillet, heat 2 Tbsp olive oil over medium high heat and add onion, celery, red pepper, carrots, and chile. Saute for 3-4 minutes until vegetables start to soften. 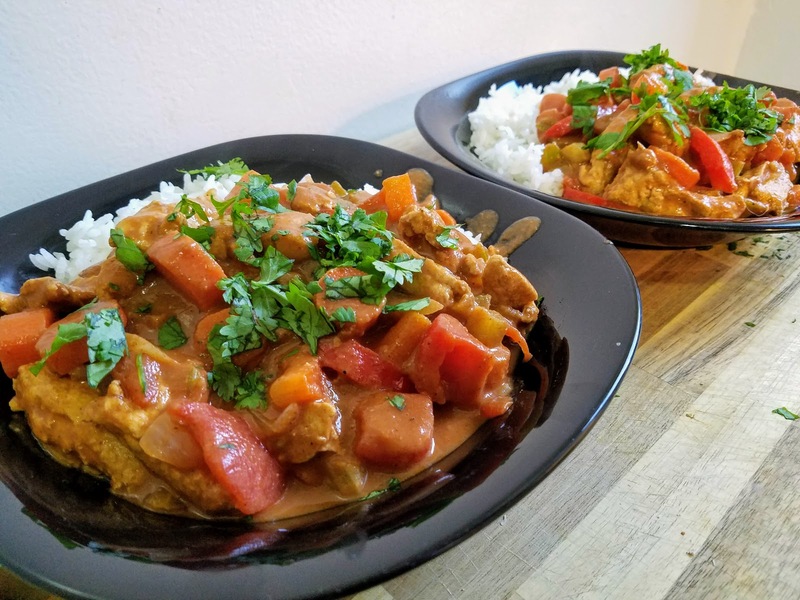 In a small bowl, combine coriander, garam masala, cumin, paprika, and cayenne. Add chik'n to vegetables, and sprinkle with mixed spices and grated ginger. Stir to coat the chik'n and vegetables and let cook for 1 minute or until aromatic. Add tomato sauce, diced tomatoes, and coconut milk and reduce heat to low. Season to taste and let simmer for 5-10 minutes (I let mine simmer until the rice was done). Serve over rice and garnished with fresh chopped cilantro.